Ready to get down with your favourite Persona characters? I literally wrote about the expanding world of Persona in Monday's Catch-up and I've barely been able to breathe before more titles – back to video games this time around – were announced. Altus is bringing our favourite Persona characters to life once again in two brand new rhythm titles, Persona 3: Dancing Moon Night and Persona 5: Dancing Star Night. Normally I limit myself to one video per story, but this one deserves two so here you go! Announced during a live Persona concert in Japan, both titles are in the vein of (and rhyme with the title of) Persona 4: Dancing All Night, a rhythm game that we loved (of course). Dancing Moon Night and Dancing Star Night will launch simultaneously, with a tentative release set for Japan next spring. Considering the wild popularity of Persona 5 worldwide, I don't doubt that the games will be coming to the West soon after. Both titles will also be launched on two consoles, PlayStation 4 and PS Vita. Another Persona sequel was announced at the same time, although very little information is currently available. Persona Q2 is the follow-up to 2014's Persona Q: Shadow of the Labyrinth, and will be released for the 3DS. Bandai Namco has long cemented its reputation as the purveyors of the Tales of series of JRPGs. While the Western world may be on the back foot when it comes to appreciating the series and giving it the critical acclaim that Japan has, the franchise has grown in popularity over here since the release of Tales of Symphonia, which means that we’re part of a growing market ripe for the picking. As you’d expect with a developer this size, Namco has cottoned on to the fact that a new market means a new place to peddle their wares. 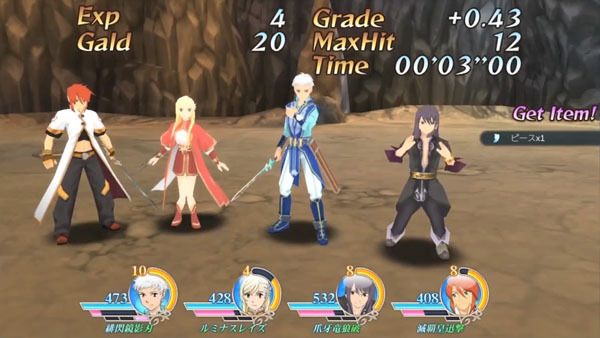 In this case, that’s Tales of the Rays – the first mobile-only Tales game. Tales of the Rays is the latest adventure in the already prolific franchise, and it’s already done the rounds in Japan and garnered the popularity typical of the existing titles. As of a few days ago, it’s had its official Western release on the iOS and Android stores. While it appears to look and handle the same as the other Tales titles in terms of the distinct art style and the famous Artes, Rays has a new battle system called Linear Motion Battles. It serves as a simplified version of the timed combat mechanics that are present in the other games, likely because of the mobile platform. It looks like there’s going to be a lot to love about Tales of the Rays, even if it’s taken as a standalone by most who will download the title as it pops up on the App Store’s Newly Released page. It’s been advertised as having all the hallmarks of the Tales of series that has endeared it to fans, ranging from a winding narrative to the signature cutscenes that are the backbone of the game’s party system. Let’s hope that Namco’s winning formula will net it an even bigger audience after this foray into the mobile sphere; after all, everyone loves a free game. The series will focuses on Japanese video game and arcade culture, with special focus on the arcade aspect. It is hosted by Tom Lee and KABUKIN – two popular people that I've never heard of because apparently I live under a rock. Content can range from news and playthroughs to interviews with game developers and other notable people. If you want to subscribe to the channel (and you know you want to!) click here to visit its YouTube page. I know I'll sure be keeping a close eye on it! White Night is quite the literal noir horror game: it is legitimately all black and white. The aesthetics make me drool, and Matt gave it a decent score in his review, but I never played as I didn't own a PlayStation 4 at the time of the game's launch (for shame, I know, but it's been rectified) and I don't do PC too much. Now that I have the console, irony is smacking me upside the head as it's been announced that White Night is coming to iOS and Android platforms. Developed by Osome Studios, White Night is best described as a narrative survival horror game. True to current trends, you find yourself trapped in a mansion that needs to be investigated. The game is a cross between a video game, a book, and a film. The mobile version features revamped controls (always important for a conversion from console to mobile) and an overhauled interface that includes an adjusted save system. Publisher Playdigious hasn't given a set date for the game's mobile launch past "this fall" (so in the coming months), but there is a website where you can register to be updated on the game's launch as well as receive a free copy of the soundtrack. That being said, I completely trust the publisher: it was behind Mini Metro and Evoland, after all! The game will certainly be set at a premium price, AKA not free-to-play, which has my seal of approval.